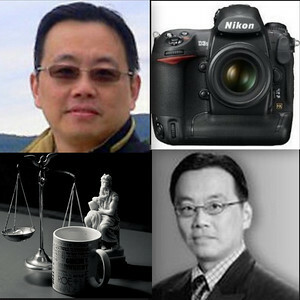 What do practice of law and photography have in common? Both professions demand creativity and imagination, the ability to reinterpret Nature, and a profound appreciation of details at all levels; both view predictability and originality as mutually exclusive; both require skills to depict and present a subject in a truthful yet favorable light; both involve the creation of a dynamic and often amorphous line between fact and fantasy; and finally, both need different lenses, physical or metaphysical, to zoom in and out. In short, law and photography, both highly addictive and rewarding, have the power of transforming a world perceived in the practitioner's eye into one conceived in his mind. As a photographer I shoot raw, as an attorney I, of course, practice law.